The final series for the Atlanta Falcons pretty much summed up their 2017 season. Four chances within the ten-yard line to take the lead on Philadelphia. The dreaded “red zone”. Some teams are at their best when so close to pay dirt, but throughout this season, that area was a cause for concern week in, and week out. This entry was posted in Atlanta Falcons and tagged Atlanta Falcons on January 20, 2018 by Mike Lederle. This entry was posted in Atlanta Falcons, NFC, NFL, NFL Playoffs, Philadephia Eagles, Rise Up and tagged Atlanta Falcons, Falcons, Mike Lederle, philadelphia eagles on January 13, 2018 by Mike Lederle. Can we get a Christmas do-over? 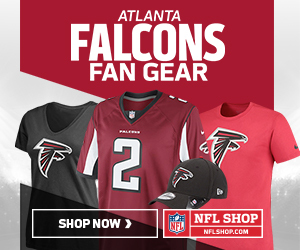 Falcon fans awoke Christmas morning, digging out from the wrapping, and dirty dishes. The feeling of emptiness set in. But, fear not, Falcon fans. This entry was posted in Atlanta Falcons and tagged 2017 NFL playoffs, 2017 playoffs, Atlanta Falcons, Falcons, Falcons playoffs, Mike Lederle, NFL Playoffs, Rise Up Reader on December 29, 2017 by Mike Lederle. Yes, I’ll have the combo meal please—a team of pirates, with a side of Koetter/Smith. Ate that W real good. Some slight indigestion, but nothing a little antacid can’t cure. Best thing to come out of the Bucs game was a solid running game, which could be big come the postseason. Time to move on from Tampa Bay, there’s a bigger fish to fry. Or should I say, bigger opponents down on Bourbon Street. This entry was posted in Atlanta Falcons on December 19, 2017 by Mike Lederle. Breathe, Atlanta. In a must win game, the Falcons did just that, win. It doesn’t matter how or why. In 2017’s toughest NFL division, winning is everything. This entry was posted in Atlanta Falcons on December 9, 2017 by Mike Lederle.